Alan Chambers joined the Royal Marine Commandos at the age of 16 and spent the next 16 years as a Royal Marine Commando. He trained as a Parachutist, Diver and Paramedic and operated in Jungle, Desert Arctic and Urban environments. Since then Alan has travelled the world over 50 countries; cycled across Europe for charity; became one of a 4 man team who became the first and only team in the world to traverse Iceland in the winter 850km with Princess Diana as their Patron; spent 5 years training and living with the Inuit Eskimos in the North West Territories of Canada and became the first Marine to visit the grave of the Marine who died on the 1845 Franklin Expedition who are buried on Beechy Island. 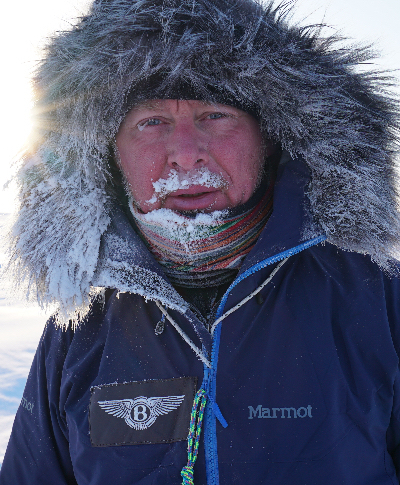 In 2000 Alan led the first British Team unsupported to the Geographical North Pole from Canada over 1000km in 70 days. Prince Phillip was their patron. The documentary was shown on Discovery channel over 20 times and generated over 20 million pounds of publicity for their sponsor Diageo Johnny Walker for whom he became a global brand ambassador and board member of the JW Fund. Then Alan conceptualised and launched Extreme classrooms – changing disaffected children’s lives through adventure with business and sporting mentors to guide them. Several documentaries then followed with the Coldest Classroom on Earth at 78 degrees North in 2011 a BBC documentary which was made and shown to over 97 million and the Hottest Classroom on Earth through Africa’s Rift Valley in 2012, a BBC documentary which was shown 6 times to over 100 million viewers.Through Polar expeditions, Alan has raised £5 million for charities. Alan is also a global accomplished motivational and leadership speaker, speaking over 70 times a year to all major sectors in industry finance medicine sport and mainstream commerce. 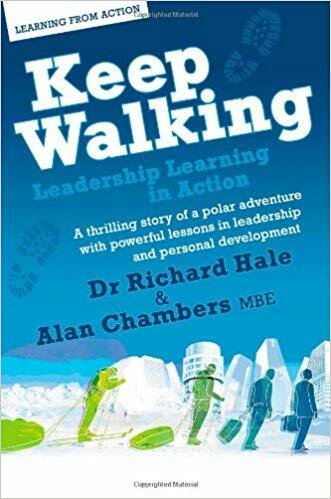 Inspirational story of leadership as Alan Chambers became the first man to lead a successful unassisted expedition to the North Pole. Vital lessons in leadership for all.